Your spouse is NOT your enemy. Your spouse is God’s gift to you. You and your spouse were made to be dangerous for God. Those three statements summarize the main lessons that I took away from this past weekend’s Weekend to Remember conference that Marianne and I just attended. As promised, this week I’ll be sharing different lessons that we came away with from the conference. But first, let me tell you how the conference started for me. It started with a strange encounter with some very different people. Last week, I blogged about how we are all different and we must learn to appreciate our differences. Well, God put that to the test this past weekend. Just before the first session – as I was still in my curious “I wonder what a marriage conference is going to be like” thinking – I went to the bathroom and lo and behold I was greeted with a nice surprise there… CHEWBACCA. No joke. 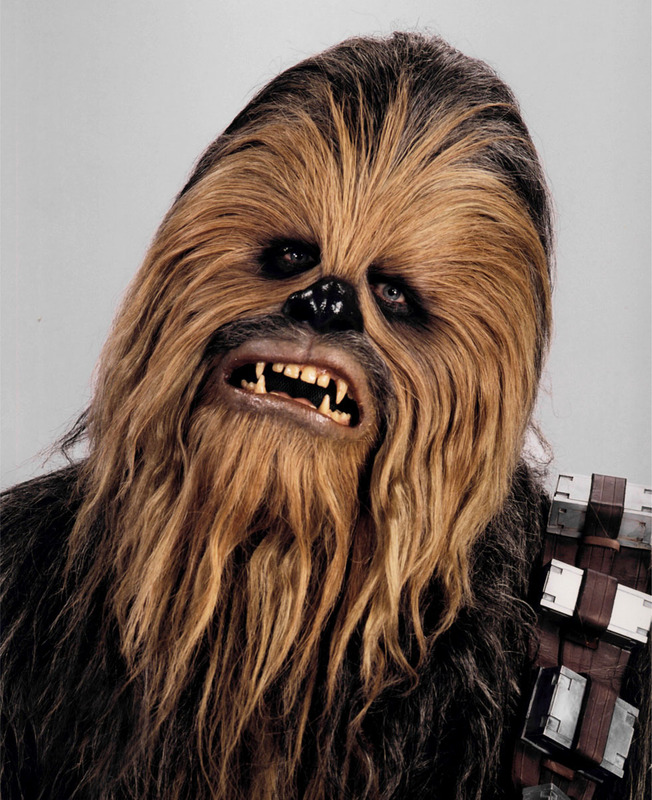 Chewbacca – you know… the giant “wookie” from Star Wars was in the bathroom. He was going in as I was coming out. And as if that wasn’t strange enough, when I got further out into the lobby I noticed that Chewie wasn’t alone. He brought several more from the Star Wars cast with him! Apparently, the same hotel that was hosting the Weekend to Remember conference was also hosting some type of Star Wars sci-fi weekend as well. What a scene that must have been! In one room, you had 250 married couples coming together to revive their marriage and discover God’s plan for oneness and intimacy. And then just on the other side, you had storm troopers all decked out and ready to fight some cosmic battle. It was quite a way to start the weekend. I didn’t know whether to stop and take a picture or call the police! The one good thing about having them there though was that this was the first time that I was the one who was asking the question “why’s that guy dressed so weird?” instead of hearing it asked about me. But thankfully, I was eventually able to escape the inter-galactic war zone and make it back to the marriage conference safe and sound. Something happens when you get married. The very person that you love and cherish the most is usually the one who you blame the most as well. You can find a way to blame your spouse for just about anything that goes wrong – whether it has anything to do with them or not. 2. Your spouse is God’s gift to you – your spouse isn’t there by accident. Just as God did with the very first marriage of Adam and Eve, He looked down from heaven and saw you in need of companionship. He said “It is not good for ________ to be alone. I will make him a helper comparable to him” (Genesis 2:18). Eve was a gift from God. God designed her specifically to meet Adam’s need for companionship. She wasn’t perfect (only God is) and she couldn’t meet all his needs (only God can), but she was exactly what Adam needed – designed and delivered by God Himself. 3. You and your spouse were made to be dangerous for God – take the analogy of a bow and arrow. The bow is made up of two parts: the wooden handle and the elastic string. The power of the bow is when these two parts are working together. Neither has any power to do any real damage alone (imagine chasing the Storm Troopers away with an elastic string). But when combined together, the bow is deadly. Your marriage was designed by God to be a powerful bow. God put you and your spouse together to fight against the powers of darkness and for the Kingdom of Light. Your marriage was designed to leave a legacy of godliness in a dark world which is truly in need of it. God didn’t bring you two together to be miserable and frustrated and lonely. God brought you together to be blessed. Question for discussion: What other shifts in thinking have you seen help you or another marriage take a turn for the better?